​You play with fire, you get burnt. You play in dirt, you get dirty. And that's exactly what happened -- oh, did it ever -- tonight when an overly assertive Atlanta Falcons fan decided to pick a Twitter fight with @MLB. Sure, not every last human being loves ​baseball, but this tweet is harmless even if you're a big-time hater. That did not stop a very special ​Austin Hooper stan (!) from attempting to chop the league's official Twitter account down to size, though. I have so many questions. I mean... Austin Hooper? Sure, he's proven that he belongs in the league. He caught 71 balls and four touchdowns this season, both career bests for the 24-year-old. But still! Come on, man. 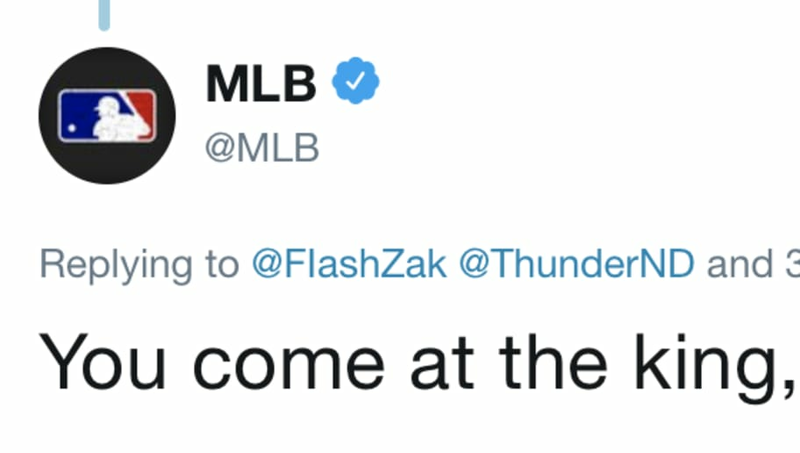 Naturally, @MLB had to strike back in the nastiest way possible. It was true. It is true. It will always be true. And even if it runs the risk of inflaming Braves fans, bravo. Just bravo, guys. Even Hooper's No. 1 fan had to give it up. I’m shook. They didn’t hold back tbh. Is this a Hooper burner account? Either way, whoever operates @FlashZak has a pretty decent ability to self-reflect despite the initial bravado. It's all love tonight, people. Love all around. Even Austin Hooper is probably giving out free hugs tonight. This Hot Stove has got us feeling all warm. What a world.